I decided to treat myself to some Lush products. I needed some more rose water (which I somehow still haven't reviewed here.. note to self - get that review up!) and added some extras. One of those extras was this "Peeping Santa" bubble bar. First of all, how cute is he?! Haha. Kind of creepy with his peeping.. but it's cute! 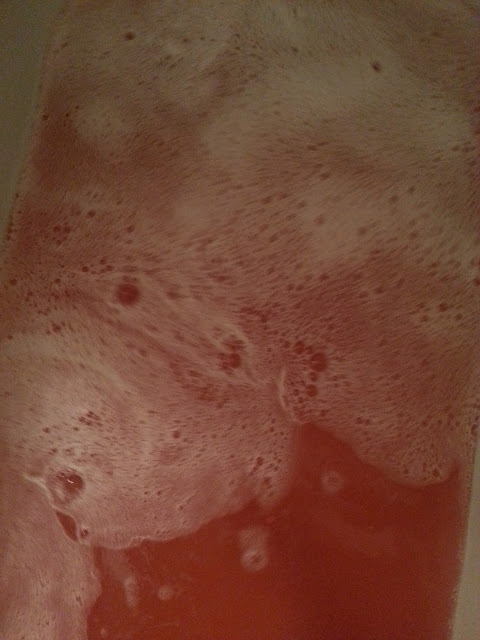 Since I had never used a bubble bar before, I didn't know what to expect and threw the whole Santa into my running bath. Lesson learned - I could have broken him up into a few pieces to make this last longer. As you can see it did make the water bubbly. And red. It smelled great though, and it really felt moisturizing. It was really relaxing. I prefer a little more bubbly for my bubble baths, but it was a nice change from the typical bubble bath. I would definitely purchase this again, and it was affordable at $6.95. My tip though would be to break him in half so you get at least two baths from the bubble bar. 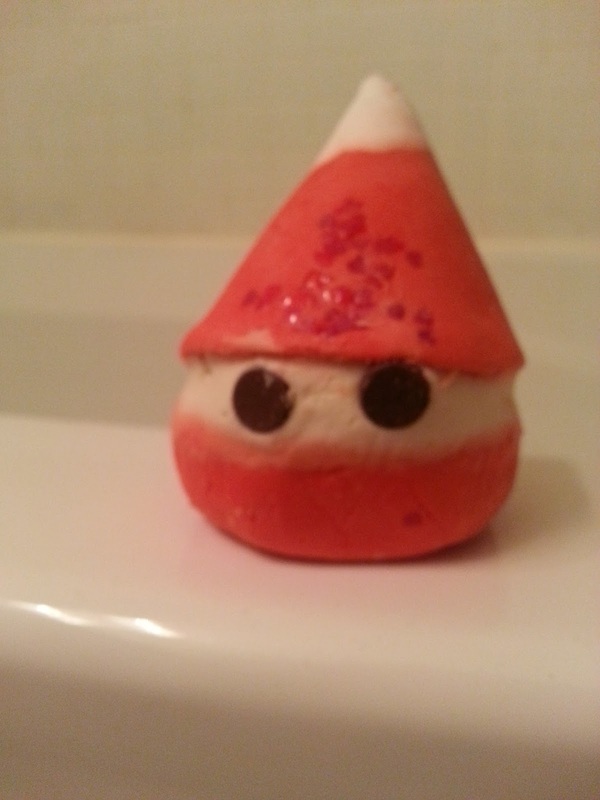 I really wanted to try this peeping Santa - by the time I got to my Lush it was all sold out!! !